Does the thought of renting a tux sound a bit dated and expensive? We’re thinking of awkward fitting suits, industrial overhead lighting, poorly made materials…generally, not a great experience. On the other hand, a bespoke, made-to-measure suit sure sounds amazing, but we can’t say it’s easy on the budget. Which is why we’re genuinely pumped about The Black Tux: high-end suits and tuxedos, designed for a better fit with the finest wool available, rented online and delivered straight to your door step. Really! 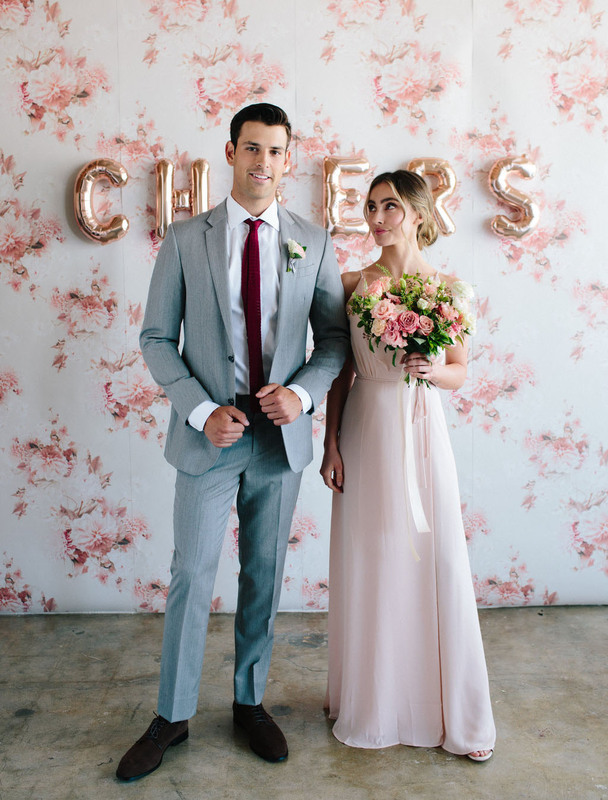 Just scroll through any of our past editorials and chances are you’ll see a groom or groomsman sporting a perfectly fit suit or tux fromThe Black Tux! 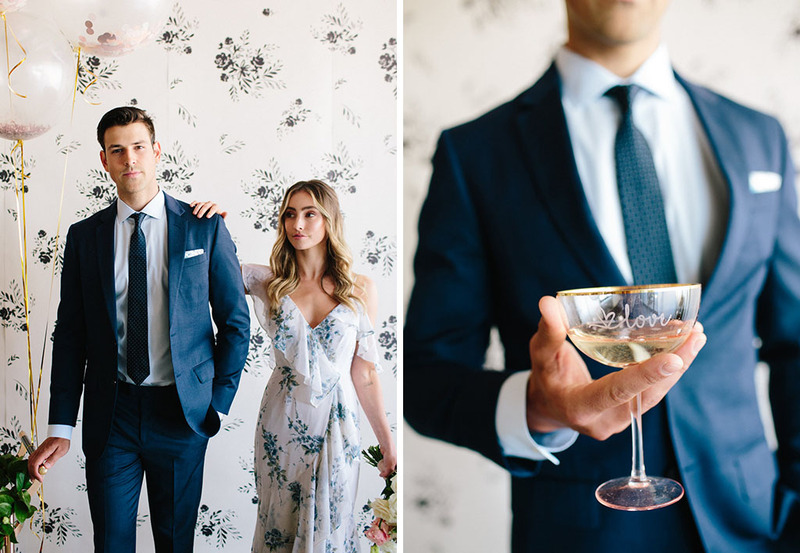 With summer wedding season upon us, we’re sharing three of our favorite looks + color combos to win the style game. These looks meet our top three requirements: 1) must be stylish, not dated; 2) must compliment the ladies’ looks; and 3) absolutely must be built for dancing all night! You can never go wrong with a classic black tux for a formal event. Black is the new black, folks! It goes with every color and looks especially sharp with a bowtie, pocket square, and cufflinks. 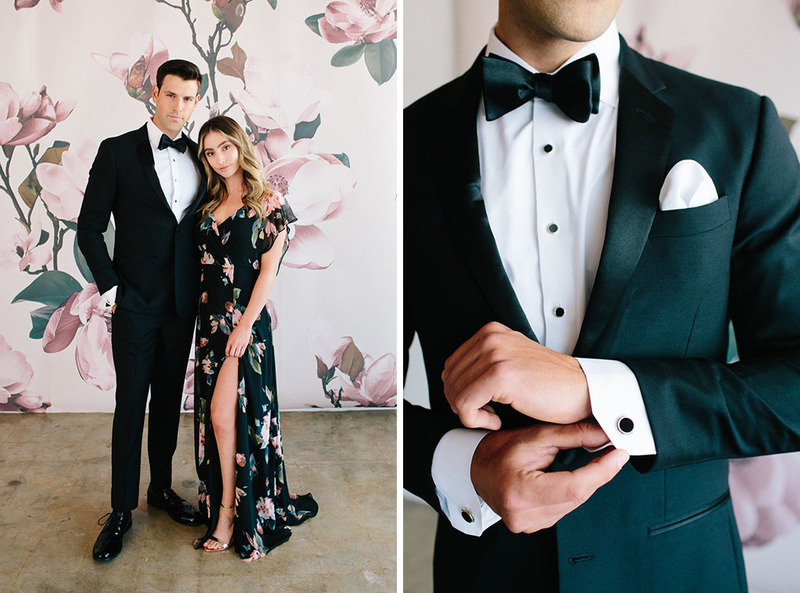 The most important thing here is fit—and The Black Tux created a (fun!) 5-minute survey to find your perfect size. 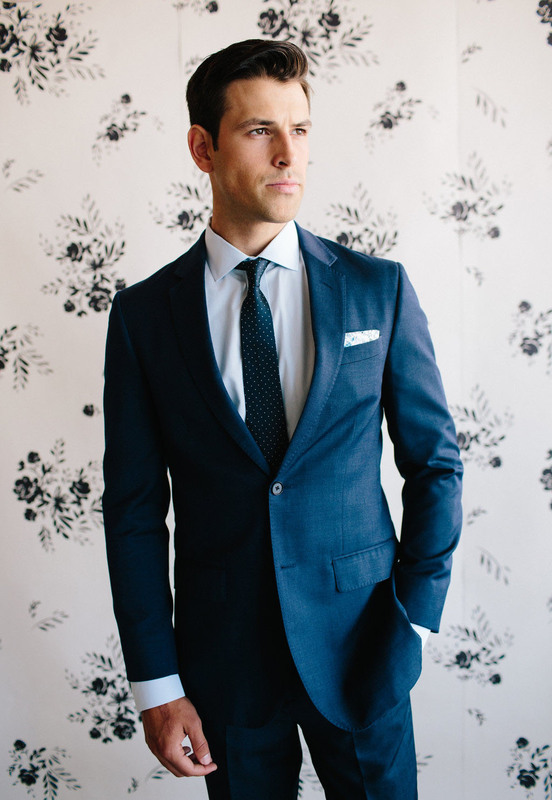 We’ll always love a good blue suit! Try going a little brighter than the tradition navy for summer. 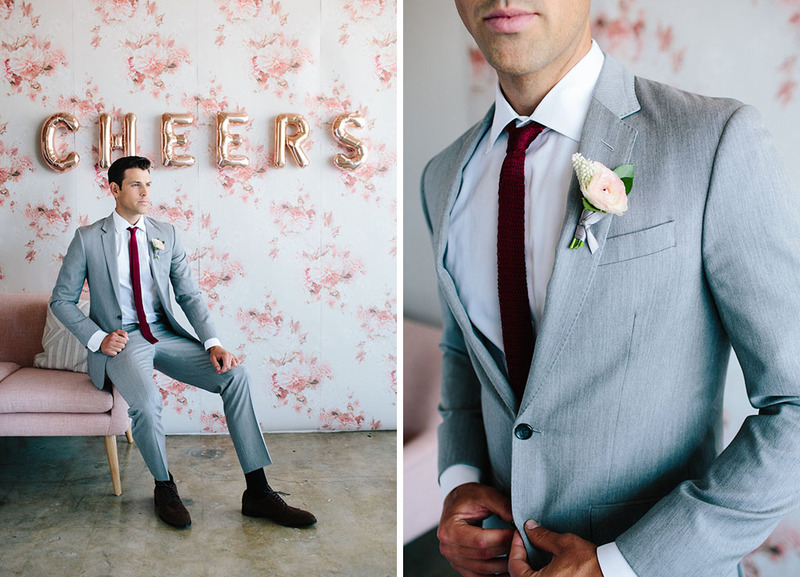 This suit would look so good next to groomsmen in monochrome, right? By the way, when you rent a suit it will arrive 14 days before the big day AND you can track orders + shipping for all the groomsmen, too. It’s no secret that blush is all the rage these days, but that doesn’t mean the guys have to suit up in a pink shirt. Rather, find a complimentary color and drop it in the details. Exhibit A: a burgundy tie! Now for the best news of all: you can try any suit available on The Black Tux for FREE. Yep! There’s free shipping both ways, and you get 48 hours to try it on, check the fit, and say YES to the best suit (or tux!) you’ll ever rent. 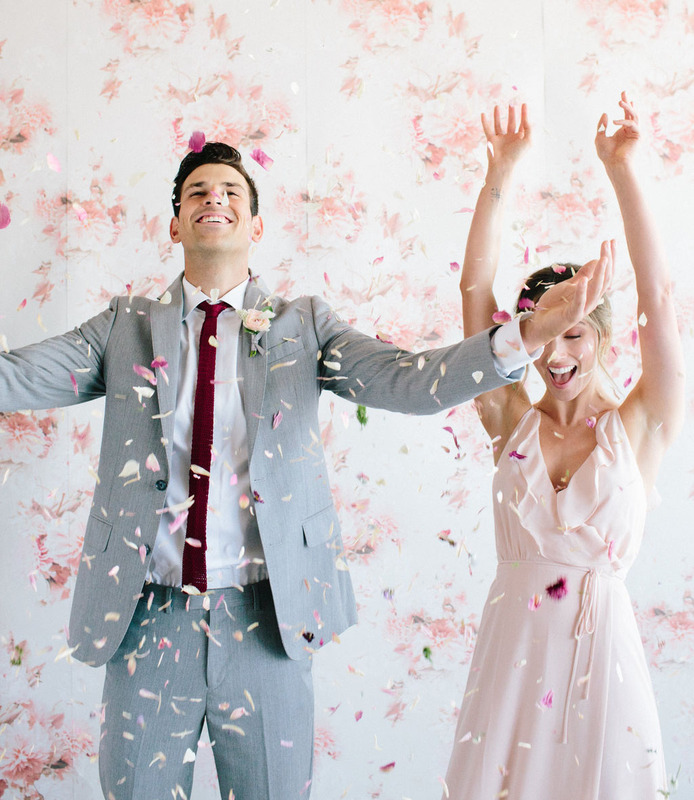 Happy summer wedding season—look sharp! *This post is sponsored by The Black Tux. All content, ideas, and words are by Green Wedding Shoes. Thanks for supporting our sponsors! 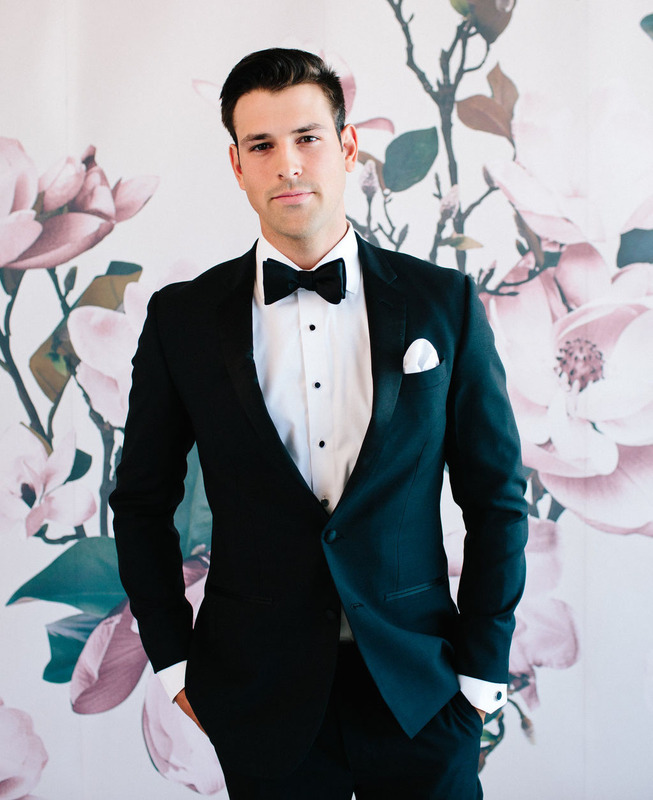 Outfit your Groomsmen in The Black Tux + Win 5 Suits! I liked the dressing sense of wedding couple and all the photos are super. Excellent work by wedding photographer.